Ahead of a 13-date arena tour in March 2019, the City of Prague Philharmonic Orchestra, along with conductor Matthew Freeman, have been announced to provide the live accompaniment to the stunning visuals of Blue Planet II – Live In Concert. Bringing the wonders and mysteries of the planet’s oceans and its inhabitants to the UK arena stage, Blue Planet II – Live In Concert will present a selection of incredible visuals from the BAFTA Award winning BBC One landmark series, highlighting the amazing natural wonders of our blue planet in breath-taking detail, projected on a giant state of the art 4K Ultra HD LED screen. Accompanied by the original immersive music score by Bleeding Fingers Music, composed by Hans Zimmer, Jacob Shea and David Fleming, the concert will be performed live by the City of Prague Philharmonic Orchestra, and conducted by Matthew Freeman. Matthew Freeman is an award-winning conductor, arranger and pianist who has conducted the Royal Philharmonic Orchestra on various occasions around the world. He has conducted over 50 albums with the BBC Concert Orchestra, Danish Radio Orchestra, Sønderjyllands Symfoniorkester, Prague Symphony, Metropole Orchestra of Amsterdam and the NRK Oslo, and has been personal music director for Shirley Bassey, Michael Crawford, Frankie Vaughan and Mary O’Hara. He first conducted BBC’s Planet Earth Live in Concert 2015 in arenas throughout Germany and Austria, followed by Frozen Planet in Concert 2016 touring Scandinavia, Germany and Switzerland. 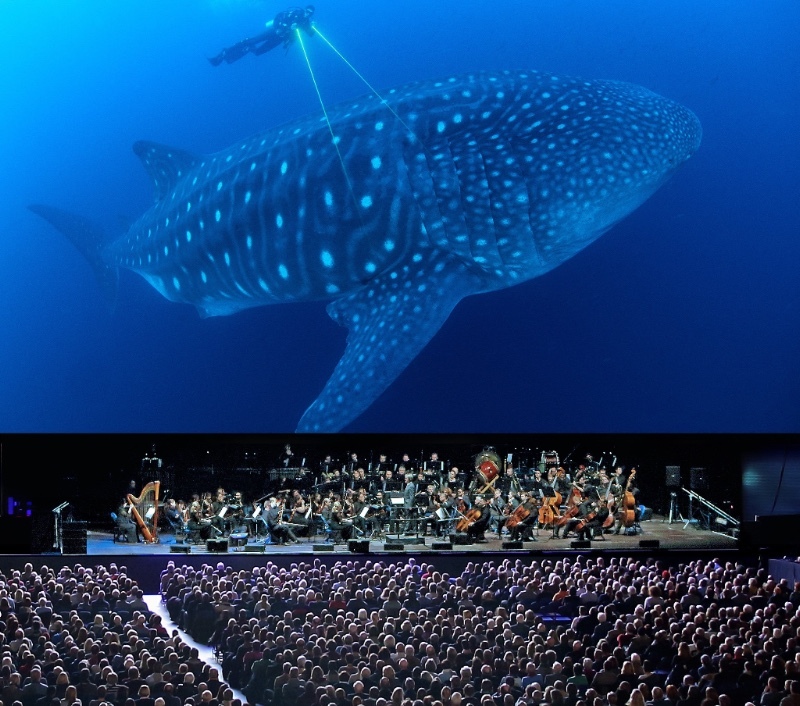 In 2018 he conducted the new Planet Earth II Live in Concert on a major European tour and takes the helm again in 2019 for the eagerly anticipated Blue Planet II – Live In Concertperforming across Europe, UK and Eire. Founded over 60 years ago, the City of Prague Philharmonic Orchestra is a world-renowned symphony orchestra that has provided music for various projects including the TV series Black Mirrorand David Lynch’s 2001 film Mulholland Drive, as well as live shows around the world which, in 2010, saw the orchestra perform to over 20,000 people in Santiago. The orchestra features predominantly Czech classical musicians with guest players selected from musicians studying at the Conservatoire in Prague. During the filming of the Blue Planet II television program, film crews embarked on 125 expeditions, travelled to 39 countries and spent over 6,000 hours of deep sea diving armed with the latest state of the art equipment. Take a deep breath and discover a whole new world hidden beneath the surface of the sea. The Blue Planet II – Live in Concertwill allow the viewer to share and enjoy this voyage of discovery in an epic live audio-visual concertexperience unlike any other.